Welcome to St. Mary of the Lake! We welcome you as a member of our faith community and look forward to supporting you on your life-long journey of faith. Are you Catholic and looking for a place to worship? Stop by the Welcome Center in the Gathering Space after Mass. Call the parish office (651-429-7771) to arrange a time to register. Complete the New Parishioner Registration at the bottom of this page. Are you interested in learning more about the Catholic faith or joining the Catholic Church? The RCIA, or Rite of Christian Initiation of Adults, is a process for adults who wish to look more closely at the Catholic Church. Inquiry sessions are ongoing and held 10 AM Sundays at church. If you, or someone you know, might be interested in knowing more about the process or want to register, please call the Parish Life Center at 651-429-7771 and speak with Mary Beth Jambor or email her. RCIA is also open to those interested in learning more about the Catholic Church, but are not yet ready to join. Have you been away from the Catholic Church for a while? Are you interested in returning? There are many different reasons why people leave the Church. No matter the reason, we would love to have you back in our family. We know this is an important decision. Below is some information for you as you discern your return to the Church. 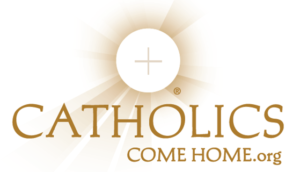 Click here for a website, Catholics Come Home, that has answers to many questions and includes some testimonies from others who have returned to the Catholic Church. If you would like to talk to a St. Mary’s staff member, please contact Mary Beth Jambor.